Even more than the wide-ranging packed agenda, 2019 brings further educational offerings at, around, and beyond TechCon! Station GMs - join your peers for a stimulating, full day of discussion and learning at the intersection of station management and the changing media business. Building on last year’s success and GM leadership, this day will be designed to help you deal with both practical and strategic issues arising from the rapid technological change that is driving the industry. The first half of the day will be breakfast, sessions, and lunch with your peers. Then we’ll join the opening of TechCon and your choice of sessions from an afternoon designed for you. We’ll end the day with an exclusive early peek at the Vendor Exhibit Hall (a surprise hit with GMs last year) and dinner with Mario and Ira. What to expect: This event is designed to be useful either as a single-day meeting on Wednesday or as lead-in for a GM staying for the full TechCon experience. 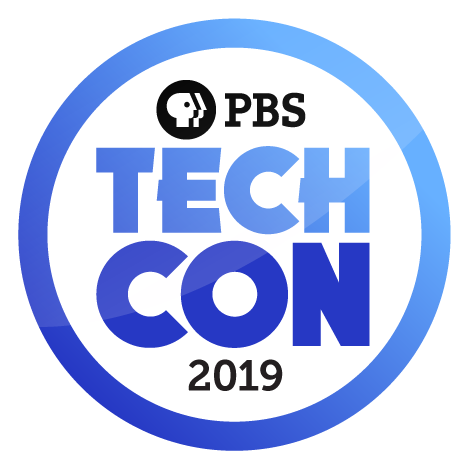 How to register: Registration for GM Day is an option on the TechCon registration site: If attending the full PBS Technology Conference, GM Day will be included with your registration, be sure to check the box for it. ($610 if registered prior to March 1.) If only attending GM Day on Wednesday, the cost will be $310. Moderated conversation focusing on specific projects from T&O and Digital, as well as discussion about overall strategy and technology landscape going forward. Will include Q&A. From VR to spectrum and everything in between, how are we using our technology to serve our mission and business needs. This discussion panel focuses on the current and future opportunities for leveraging our technological assets in markets of all sizes. With change comes opportunity; with opportunity comes … resource management. Join your colleagues for engaging discussions on how to best resource for success, including conversations about talent acquisition and retention, restructuring to support multiplatform audiences and identifying the right skillsets for your organization. Join Myers for two full hours of interactive learning with hands on mini-sessions broken down by ProTrack discipline. This session is based solely on our most important asset - you! Who should attend: Traffic and scheduling personnel, or any station staffer that uses ProTrack. What to expect: A hands-on experience led by the Myers team with input from TAC, the Traffic Advisory Committee. How to register: Registration for this workshop can be added as an option when you register for TechCon. There is no cost to attend, but seating is limited, so register early! Product management is a unique field that sits at the cross section of engineering, design, strategy and management. You don’t have to be a product manager to appreciate and learn from the operational requirements which product development teams are responsible for. In this pre-conference session, you’ll hear from the PBS product management team as they present topics including pragmatic product management, common methodologies, best practices for working in cross-matrix organizations and with outside vendors, and how to gather requirements. What to expect: Attendees can expect to walk away with a better understanding of how PBS strategizes, designs and delivers products and services for stations and their members. This session is designed to be flexible and interactive, so please come with questions and problems you are trying to solve at your station. How To Register: This is a free and open session for PBS and Member Station staff, but seating is limited. Registration for this workshop can be added as an option when you register for TechCon. TechCon... after dark! A number of sessions will be happening on Thursday evening even after the Exhibit Hall Reception that same evening. Full schedule is TBD, watch this space for further information as it becomes available. No special registration is required, the Night Owl sessions are included with your TechCon registration.